A woman has been arrested for the second time in connection with the death of a man found in a river. 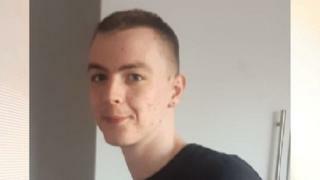 Joe Pooley, 22, was recovered from the River Gipping in Ipswich on 13 August. The 28-year-old woman from Ipswich has been re-arrested on suspicion of murder and is being questioned by detectives. A post-mortem examination found Mr Pooley, who was from the town and had learning difficulties, had drowned. Four other people have been arrested and released. The woman was first arrested on suspicion of murder on 2 October and was then released under investigation. A 29-year-old man from Ipswich who has been arrested on suspicion of murder on three occasions is on police bail until 4 March. A man, 33, and a woman, 24, both formerly from Ipswich, were arrested on suspicion or murder on 17 January and are on police bail until 17 April. A 36-year-old woman re-arrested on 6 February on suspicion of assisting an offender was released under investigation.